Office hours are Monday thru Friday, 8:00 am to 4:30 pm. The park is open all year long. 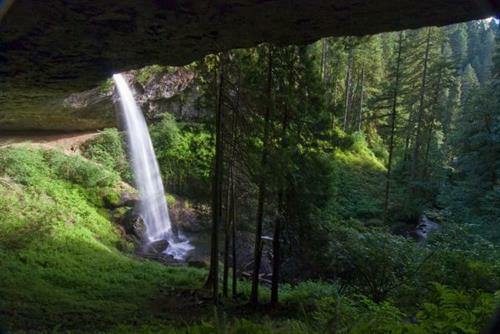 Silver Falls State Park lies nestled within a temperate rain forest in the western foothills of the Oregon Cascades. Towering Douglas-fir, Western hemlock and Big-leaf maple provide the backdrop for many recreational opportunities. Don't forget your camera as you hike the Trail of Ten Falls, or Canyon Trail. This eight-mile loop passes by and under ten stunning waterfalls. *Due to narrow conditions and sharp drop offs, pets, bicycles, skateboards and in-line skates are not allowed on the Canyon Trail. Other trails include the paved, four-mile bike path, and over 25 miles of multi-use trails for mountain bikes, horses and hikers. 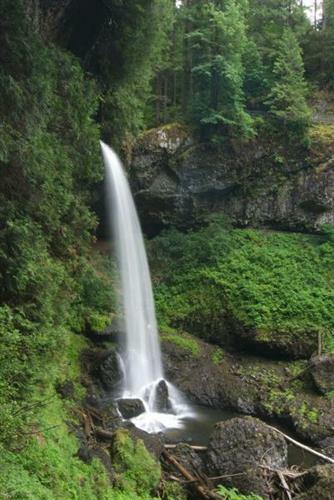 Silver Falls offers both individual and group camping sites. 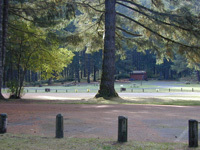 The main campground provides tent and RV sites, and cabins. Groups can stay at the Old or New Ranch, or in the group tent and RV area. Horse camps offer corrals. 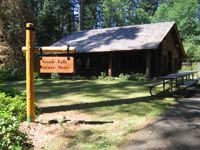 The Silver Falls Conference Center provides a variety of overnight accommodations, meeting halls and a dining hall for year-round comfort for your family or group. Call 503-873-8875, or toll free at 1-866-575-8875, for more information and reservations. The South Falls Day Use Area offers picnicking, including three reservable picnic shelters. An unsupervised swimming area in the South Fork Silver Creek offers relief on those hot summer days. Visit the South Falls Lodge and other structures, built by the Civilian Conservation Corps, and now listed in the National Register of Historic Places. 26 miles E of Salem. From I-5 S to OR 22, Exit 7 to OR 214. From I-5 N, Exit 271, follow OR 214. Approximately 15 miles S of Silverton.